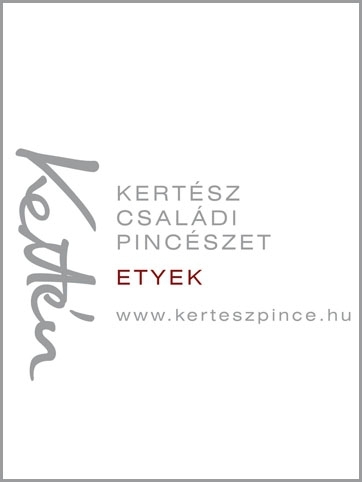 While Budapest celebrates August 20 (Saint Stephen's Day, commemorating Hungary's first king and the foundation of the Hungarian state) with a series of state ceremonies and concerts, the city of Debrecen (220 km east from Budapest) organizes a flower festival on August 14-21 to mark the official State National Day. 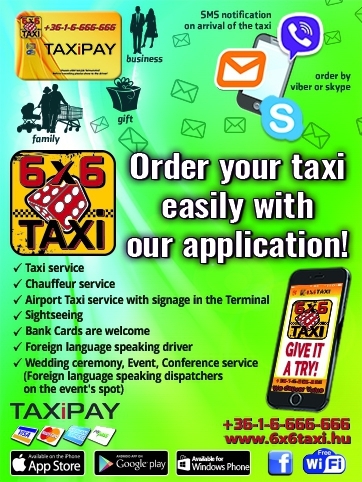 In fact, an entire week is spent in the spirit of celebration, music and dance in the second largest city in Hungary. 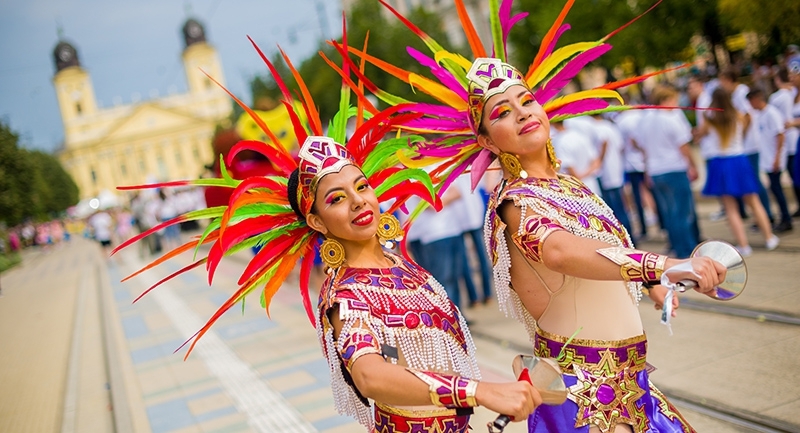 The festival has gradually grown into one of Hungary’s best known and Debrecen's most significant festival that offers a spectacular carnival atmosphere when the number of Debrecen’s population doubles. 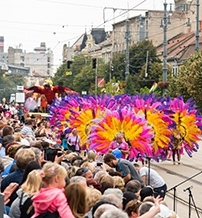 During the fiesta, a wide range of folklore programs, open-air theatrical performances, concerts (including Budapest Bar), a street art show and a number of exhibitions welcome visitors, at different venues including Kossuth Square just in front of the emblematic Great Church of the city, and Nagyerdő, the ‘green heart of Debrecen’. 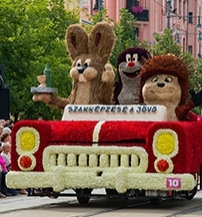 The highlight and most memorable part of the festival is the closing day’s parade of the flower carts or floats, made exclusively of floral components. Millions of blossoms are built into different forms, displaying famous Hungarians or even scenes from musicals and Hungarian folk tales. The floats are accompanied by dance ensembles and cheerleaders.